Today I wanted to share my newest fine art texture/overlay/paper set called “Hinterland”. All of my textures and papers come with free commercial terms-of-use, so use them wherever, however you want, just don’t sell them “as-is”. I want to keep them free! 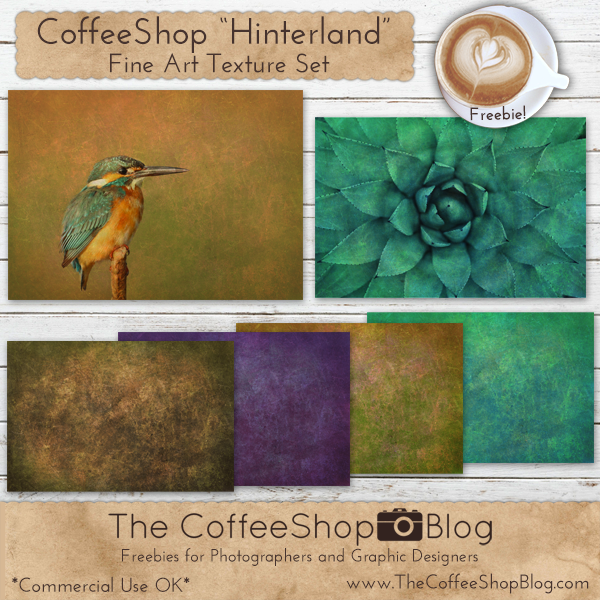 Download the CoffeeShop “Hinterland” Fine Art Texture set.